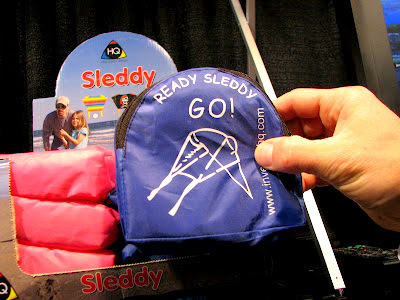 I first discovered the Sleddy by wandering into a booth at Toy Fair 2012. 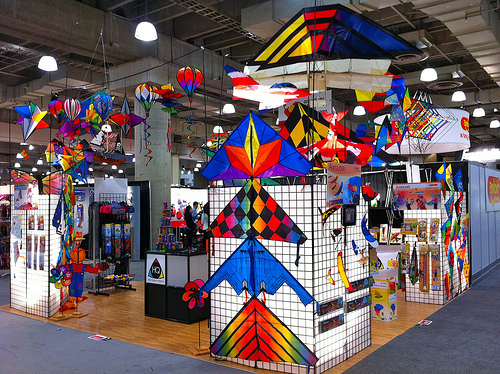 Anyone passing by the HQ Kites booth could not possibly miss the colorful display of majestic kites hanging from the ceiling. When not staring at the ceiling, I would fixate on each kite and eventually, my eyes caught the sight of a zippered pouch that could fit in the palm of my hand. I was told that a kite was inside but how could this be? Where the heck do you put the sticks? A whole kite fits in the palm of your hand. It's so lightweight and portable. It totally works for families. But guess what? No sticks are required. Not with the Sleddy. Nope. None. And yes, it does fly and fly it does, very well. Even better is that you do NOT have to be an expert to get it up in the air. They are the pouch-sized version of what is excellent toy design but don't take my word for it, let's ask someone who knows about flying and science. Uhm... how about an expert educator who knows a lot about teaching science to kids? Until recently Vanessa Garza, was the Director of Family Science at Iridescent Learning, an organization whose mission is to use science, technology, and engineering to inspire curiosity. She is an awesome and benevolent teacher who also goes out of her way to teach her daughter's preschool classmates how to play with squishy circuits. In our interview, Vanessa, who is now an Administrator in Residence with Green Dot Schools in Los Angeles took a close look at three HQ Kites with me and she had awesome things to say. "Kite-flying makes a great learning opportunity for kids as it enables them to actually feel a force applied to an object. The wind cannot be seen but it can be experienced," said Vanessa. Experience the wind? How true! She continued, "children truly have to harness the wind/force in order for the kite to function properly. What else would be more fitting for a beautifully bright and breezy day! Summer is a great time to fly, so is Spring and Fall too! Ohmigosh, get away from that tree already!!!! Okay, so I am not the only one who thinks kite-flying is awesome and here is something I have to say about force. Our Sleddy, made out of a fabric called Ripstop Nylon and tied to a super strong stringline, is so so so sturdy that when it got caught in a tree, our kite did not rip and our stringline did not snap. Rather, our kite broke a big branch off the tree and freed itself!!! All it took was some good ol' fashioned desperate yanking. What else could I do? Seriously, these branches were so high up. Look at this picture below. Maybe we shouldn't have gone out on such a windy day but that is part of the learning process. The great part is that our Sleddy is tough enough to ride out our mistakes. Note to self: Do not talk to your friends on the cellphone until your kid gets better at this. It's hard to know when they'll need help but they might. Vanessa said, "Children have the opportunity to learn about aerodynamics when flying kites, essentially how forces are applied and affect an object." Hmmmmm that sounds like science class to me but Vanessa said, that not only is aerodynamics not taught in most elementary schools but that it is also not a topic addressed by state standards. (of course!) However, these forces are discussed at various grade levels and if a teacher has a solid understanding of the forces then she/he could probably teach it in an engaging way through hands-on inquiry-based aerodynamics lesson. "In this case, kite flying would be ideal, weather permitting, of course," she told me. Oh, what I wouldn't give to see an elementary school class go on a kite flying outing. Wouldn't that be a beautiful sight? 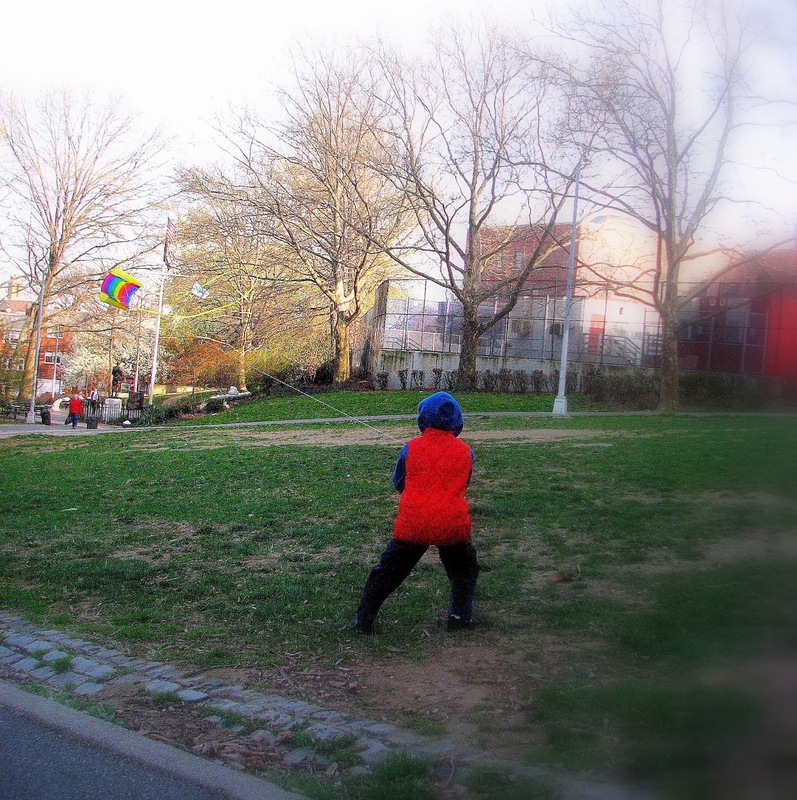 Vanessa feels that kite-flying builds more hand-eye coordination. "The ability to control the kite with one's grasp while monitoring its flight with your eyes can challenge any novice kite flyer. With practice, one can improve quickly," she said. "Forces is a basic principle in the study of physics and any college bound student will not avoid that course in high school. 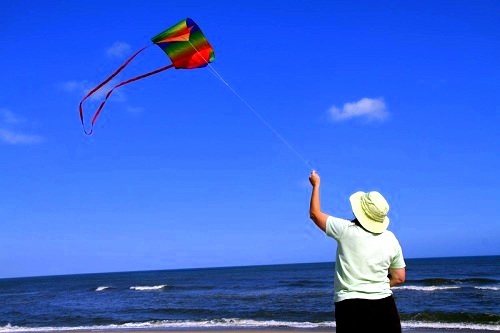 Kite flying is a wonderful opportunity to gain exposure to an advanced subject at an early age." She also added, "Depending on the weather, it can build some upper body and core strength as you position yourself and maneuver the kite to keep it afloat." Additionally, she felt that kite flying was great parallel play. She said that people do it individually but amongst a community of like-minded individuals. This sounds akin to track, archery, cycling, skateboarding... all the things that I picture my kid doing more of in the future! Single player games can still be a team sport! This was what I saw at the Toy Fair. If you pass by without looking, then ohmigosh, maybe you'll have to see an eye doctor! It's a visual smorgasbord. photo: HQ Kites and Designs USA. I think it is important to not invest tons of money on a starter kite which is another good reason to choose Sleddy since it is under $20. However, going too cheap is expensive in its own way. Not only will they break on you but they risk making a bad impression on an important experience you are trying to offer your child. Vanessa also had great thoughts on this subject. "The kites were well designed and suited for novice kite fliers," Vanessa told me. She also said that durable materials and well engineered construction make it easier for any one to attempt kite-flying. "These kites are forgiving in terms of skill and handling by the individual." Folks in the Bay Area! Go to the Berkeley Kite Festival this coming weekend July 28-29, 2012 and take advantage of FREE sport kite lessons and demonstrations by HQ Kites and Designs. Sport kites are the two handed kites that you see in this video. When I saw HQ's videos, I didn't believe what I was seeing. Who knew kite flying could be this wild and daring? The men in this video look super tough and I can only imagine what they must be feeling as they harness the wind to go for a ride. What a wonderful experience from a sensory perspective. Please show these videos to your kids. Lastly, here is my take as a mom of a very impatient child who loves to be wowed but has trouble wowing himself sometimes. My son did great when the wind was in his favor but when he was challenged, he would sometimes get frustrated. But do not be discouraged. Good things happen if you persevere! Sometimes that means folding up your kite and trying again on another day. But do not fear, your Sleddy won't give up on you and so you shouldn't give up on your Sleddy. While my only other real experience is with a dollar store kite, you don't have to be an expert to appreciate Sleddy's great value. Once you have a Sleddy in your hands, you'll know what I mean. These kites are really special and you won't have to break any trees to prove it! Show them what kites can do. This is Kiteboarding, which will replace windsurfing in the Rio Olympics 2016. Unbelievable. If you go for the big-point entry, please make sure you post your comment in the comments section below!!! It's another eye-shopping/help-Jenn-pick-the-next-great-find-favor! Can't wait to see if you've won? Try my Amazon link below. 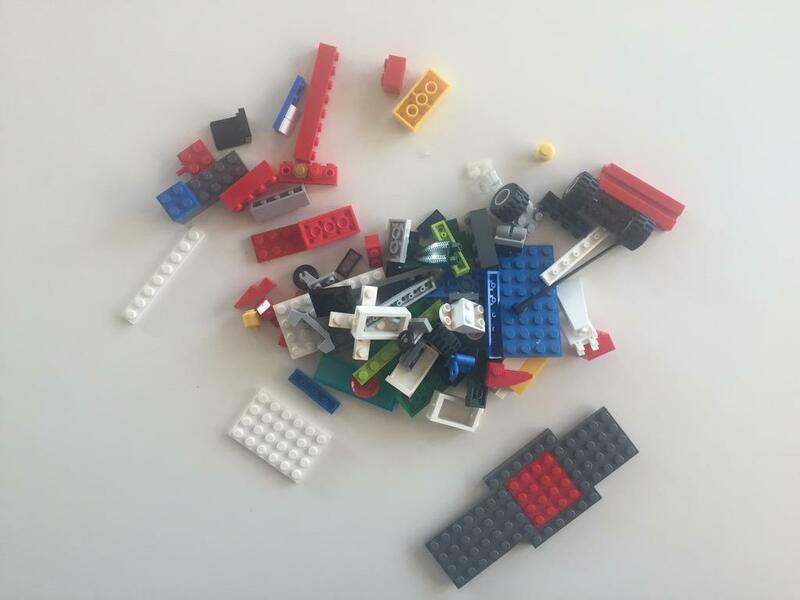 *To catch more Vanessa Garza Wisdom, check out her guest blog post on DemoLessonBlog where she talks about "Engaging Students to the STEM Education Field." **This post is dedicated to Ms. "Foxxy One" who asked about HQ Kites after the Toy Fair. Thank you for your question that led to this amazing experience with kites! Tomorrow, I will write a short post on their Creative Line, the design-your-own-kite! 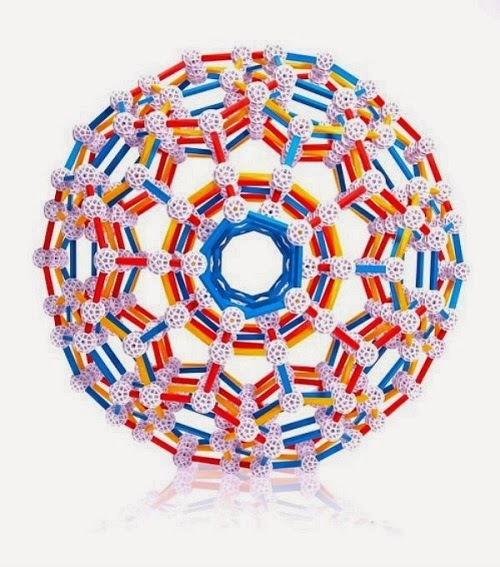 Note: Toys are Tools is very grateful to HQ Kites and Designs USA for sending a product submission to Toys are Tools' testers and Ms. Garza to facilitate this review. No compensation has been made by the manufacturer for the publication of this review. Reviews are never promised. This looks like it can be pretty good exercise. What do you think of Symphony Beach? http://www.invento-hq.com/index.php?option=com_content&task=view&id=1401&Itemid=348 What about the Quick Step II What are the tricks that you can do with it? The airgliders would be a fun review and would be a great giveaway too. Kites are my favorite toys. 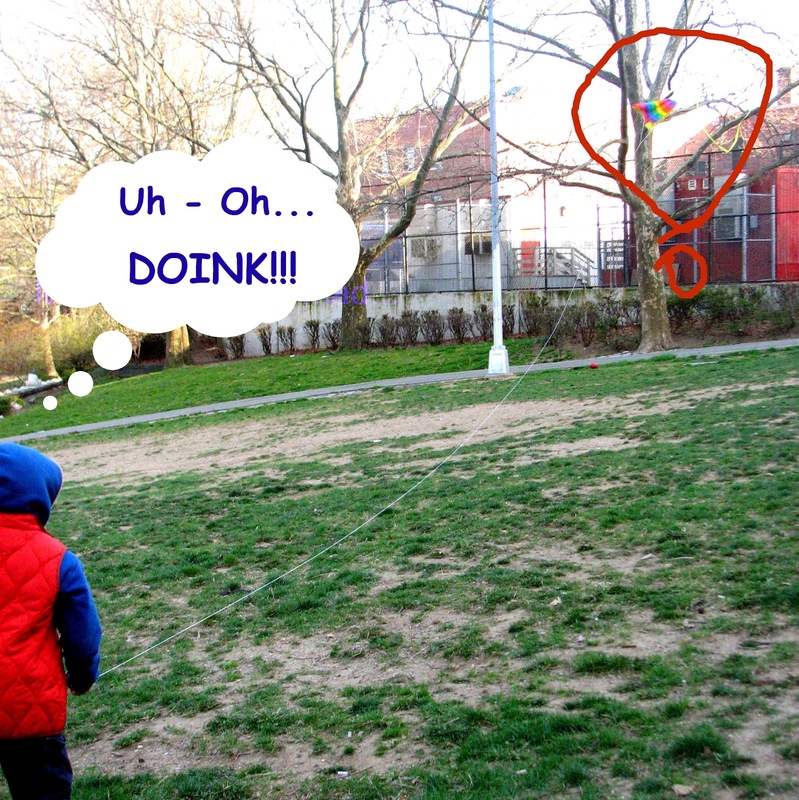 We try to have at least one "Kite Day" at our library every spring. Again, your library is so lucky to have you. You have events outside the library. If you have a book recommendation about kites, I'd love to hear it. Thank you for writing! Julie Foxx has the best reader requests ever! Did you see the video too? 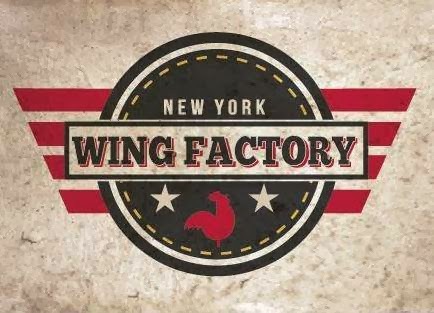 http://www.invento-hq.com/index.php?option=com_content&task=view&id=1369&Itemid=34 It was awesome! The airgliders look amazing. I'd love to see more reviews of small, portable games like the ThinkFun products. Who are their competitors? Or, on the site you linked to: Levitron Omega. This book was just released this spring. Activity sheet and author's video for making a Kite Day kite. Thanks sooooooo much. I shared this information on Facebook already and got a note from a reader that she is going to buy the book! Wow! sorry for this late reply. Are there any small portable games that you have and like already? It always helps to know what has worked in the past. years, put a ton of flying on it and it still looks brand new! -Thank you so much Maureen. I saw your other comment about the Airglider too. I guess it is settled. The readers had their say. I will ask to see an airglider soon. I hope they say yes. I wonder if the Airglider will fly for this clumsy woman. We haven't flown nearly enough kites! These look awesome, but there is NO WAY I'm showing my kid those videos! He'll be trying to kite/skateboard his way to school! 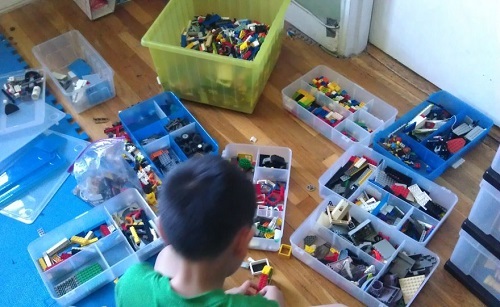 My son goes to a theme based school and next year's theme is ocean's so we are on the hunt for enrichment games/activities that we can do at home. Astro Jax Plus looks pretty cool! Andy, I actually needed to hear this opinion but for this review, could I steal just two minutes of your time so that you can grant me your insight after seeing the HQ Kites product line? This is the link... http://www.hq-kites-usa.com/products_invento_style.html Please take a look and tell me what products interest you. I advise to keep it at kite and things that fly. People seem to think the Airglider is great. You were writing this while I was writing the other note. LOL! Thanks for your suggestion. I have to figure out what this is!!!! I love the fact that the Sleddy has no sticks, not just for portability, but is looks a bit easier to get off a tree should it happen to "land" there. Important in my neighborhood!